Daniel Kahneman’s premise is deceptively simple. We have two modes of thinking, which he calls System 1 and System 2. System 1 operates automatically, quickly, and effortlessly; System 2 operates deliberately, systematically, and painstakingly. System 1 intuits; System 2 computes. System 1 reacts involuntary; System 2 makes choices. While we use System 1 during most of our waking hours, System 2 relies on System 1 for suggestions based on experience. In a sense, this method is how two minds become one. Excelling in the world demands quick thinking, so our natural capacity to make judgments based on System 1 is an indispensable attribute. After all, we tend to believe our impressions. In effect, Systems 1 and 2 work like well-oiled gears in a high-efficiency machine for most of us. 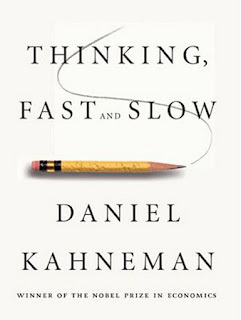 Once Kahneman quickly establishes the distinctions between Systems 1 and 2, he devotes most of the nearly 500 pages of Thinking, Fast and Slow to biases they create and the missteps they engender. Using numerous actual and theoretical anecdotes from his own experience and popular culture, as well as engaging tests for the reader, the author continually returns to WYSIATI (what you see is all there is), a term he uses to explain how we generally make sense of the world—usually with success but possibly to our detriment. WYSIATI helps us to quickly size up new situations and make correct snap judgments based on reality. However, biases abound from this operating system. We see the world as more logical and predictable than it really is, and, against the advice of the proverbial Wall Street disclaimer, we rely on past results as indicators of future results. Kahneman, a Nobel laureate in economics, details how these distortions cause us to approach decision points with overconfidence, to frame situations improperly, and to rely solely on best-case scenarios, among many other missteps. He lays out a long list of “illusions” that drive our thinking, including an inaccurate assessment of our understanding or skill, an unreliable dependence on memory, and a misguided belief in pundits—all leading to errant judgments and poor results. One of most revealing points of Thinking, Fast and Slow is that System 1 and System 2 are not always in agreement. At least three facts confirm this condition. For one, says, Kahneman, “We believe that duration is important [System 1], but our memory [System 2] tells us it is not. The rules that govern the evaluation of the past are poor guides for decision making, because time does matter.” Second, we are inclined to judge our past by the peak-end rule, when our experiences were at their highest or lowest, creating a distorted picture of the past and a seriously flawed projection of the future. A third indication of the dissonance between Systems 1 and 2 is our susceptibility to hindsight, which also misrepresents our actual understanding of past and present events. Thinking, Fast and Slow is rich with insights about how and why we think. Anyone fascinated with language will find a lot of hidden treasures in this book. Language, insists Kahneman, is an antidote to fallacious thinking: “Ultimately, a richer language is essential to the skill of constructive criticism.” I could not agree more. It's just not enough to start a complex document by asking the proverbial who, what, where, when, why, and how. If you're writing a hard-news article for the company newsletter or a root-cause analysis for upper management, then the 5W/H would be a terrific start. But more often than not, writers need to stress only the how, when, and where, omitting the who, what, and why altogether for scientific, political, or legal reasons. Asking questions is a big part of critical thinking and a necessary step of quality writing. 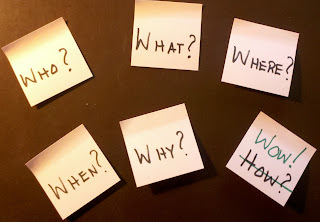 In "The Art of Asking Questions," Ron Ashkenas, writing for the Harvard Business Review Blog Network, suggests three areas to ask questions for improved managerial effectiveness: about yourself, about your plans and project, and about your organization. Asking these questions would help to develop rich, audience-focused content for their proposals, reports, analyses, and white papers. Planning messages is a key to efficient writing, so take the time to plan-by-asking and break through writer's block. 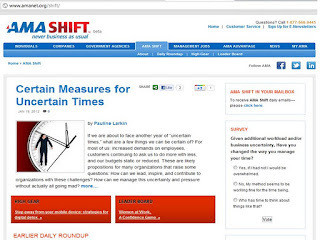 I have become a fan of AMA Shift, a blog published daily by the American Management Association. AMA Shift highlight issues of importance to business leaders by producing thought-provoking, useful, and entertaining commentary from faculty members, staff, and friends. "Conquering the Email Burden" by Robert Tanner provides excellent links to counter email overload. "Five Dangers of Brainstorming" by Hazel Wagner suggests remedies to the dangers of forgetting to quality control creative ideas. "Step Away from Your Mobile Device: Strategies for Digital Detox" by job interview coach and career development specialist Pamela Skillings, makes compelling points about how smartphones have become an appendage and what we can do about it. 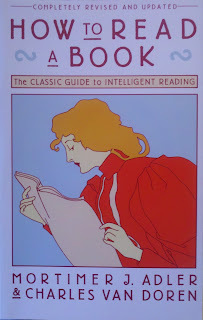 The Benefits of "How to Read a Book"
A reading of the highly instructive How to Read a Book would show that after 70-plus years, the book still applies to an e-reading world. It was first published by Mortimer J. Adler in 1940 and was last revised with Charles Van Doren in 1972, which seems like ancient history, especially in light of the reading revolution. Yet as we click on links and skim through headings of text in our iPads, Kindles, and Nooks, the four levels of reading and the various stages within those levels described in the book still reflect the reading experience. The truth be told, most adults still need instruction in how to read critically, and this book shows us how. In How to Read a Book, Adler and Van Doren begin with the notion that reading is far from the passive activity many educators claim it is. They lay out in great detail the four levels of reading as elementary (word, sentence, and paragraph recognition, vocabulary development), inspectional (learning the basis and content of the book), analytical (interpreting and critiquing the author’s viewpoint), and synoptical (finding the relevance of the book, clarifying questions, defining issues, discovering relevant bibliographies). Most readers need not worry about the synoptical level if they read for quick information or pure entertainment. However, an awareness of the inspectional level, when the Adler and Van Doren say we should perform a structured skimming through the book, would save us a lot of reading time if done systematically. This book details such a system. The authors employ a recursive approach, restating their earlier major premises in relation to new ones as the book advances through the four levels. They also provide in-depth guidance for reading practical, literary, historical, scientific, philosophical, and social science books. Readers and reading instructors will find most useful the four basic questions to answer at the heart of active reading: What is the book about? What is the author saying? Are the author’s ideas true? What can we make of the ideas in the book? The authors even detail what they consider to be three kinds of notes one can take during inspectional reading: structural, to understand the content; conceptual, to consider the author’s concepts in concert with one’s own; and dialectical, to merge related ideas from other books. Those who choose to disagree for its own sake (think Washington, D.C.) would do well to practice the three conditions of general criticism outlined in How to Read a Book: first, understand before criticizing; second, criticize without being contentious; third, disagree on items that are remediable. Once readers are prepared to disagree, they would find helpful the conditions to satisfy for well-conducted controversy (pages 154-155) and the four remarks to make in disagreeing with the author (page 156). In any Mortimer Adler book one will find many side benefits as well. His trenchant observations about his subject matter and his highly quotable style are among them. Here is one of this comments that stuck with me: “Common experience is available to all men and women just because they are alive. Special experience must be actively sought and is available only to those who go to the trouble of acquiring it.” It's simple, clear, and corroborated observations like these that make How to Read a Book a reading pleasure. A view from above Piazza di Spagna, Roma. The Keats-Shelley House is on the left. During my 70 or so vacations through 27 American states and 23 countries or territories over the past 38 years, one thing has been consistent in my writing life: I have never failed to journal. For some reason, writer's block has never existed when I'm traveling. Perhaps it's the mind-awakening sense of adventure. Maybe it's the freedom from mundane distractions. Or it could be an urge to report about new sensory experiences. Whatever it is, at age 20, I took the advice of one of my college professors, Paul Cherry, who said, “If you want to be a writer, you have to travel.” After all, isn’t that what Ernest Hemingway, Pablo Neruda, and Isak Dinesen did? 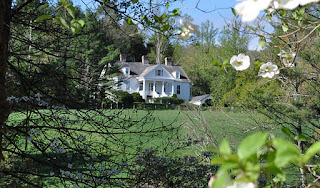 Carl Sandburg House, Flat Rock, North Carolina. Photo by National Park Service. One of the great pleasures of traveling is visiting the homes of writers or museums dedicated to them, such as those of William Shakespeare in Stratford-upon-Avon, John Keats in Rome (pictured above) Nikos Kazantzakis in Myrtia, Crete, Carl Sandburg in North Carolina (pictured across), and many more. Just search your favorite writers. At these locations, first-hand insights are available on these writers' intellectual development, interests, and creation process. 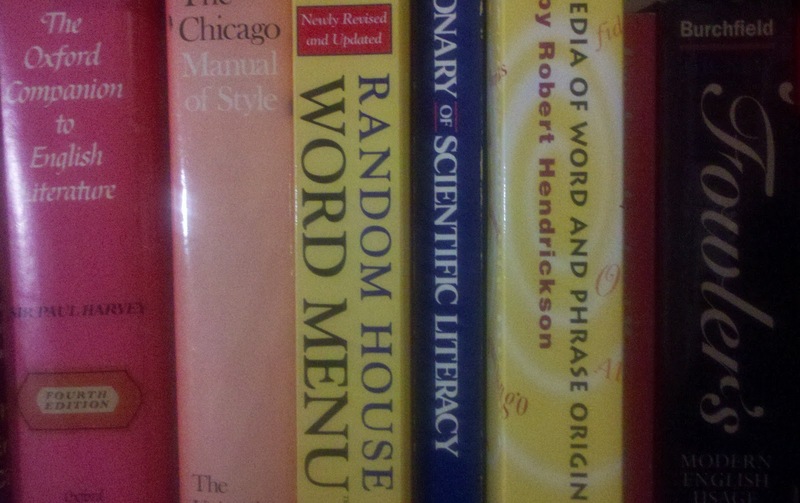 So the next time you take a trip, research writers. You may find yourself writing nonstop. Of course, you don’t have to leave your home in Amherst to write well—just ask Emily Dickinson. If you want to be more cultured in a day, I recommend a highly useful and enjoyable website. 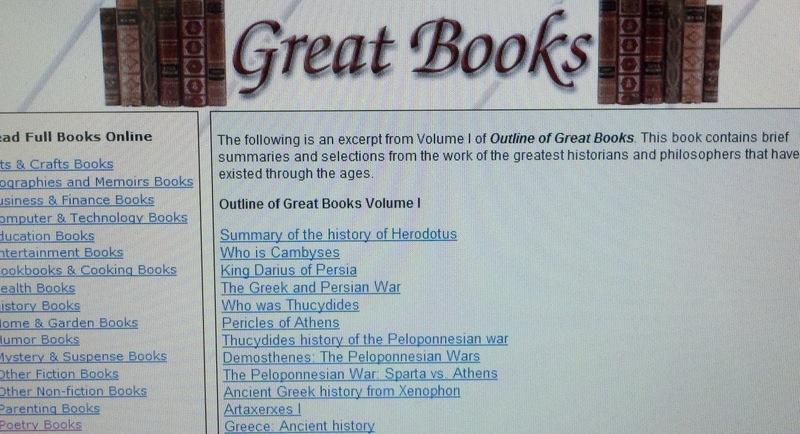 On PublicBookshelf.com, you’ll find Outline of Great Books, Volume 1. 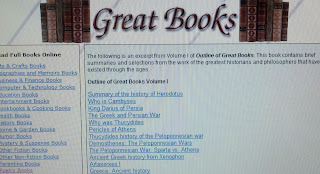 There you’ll find overviews of under a thousand words on a broad variety of topics across millennia of literature, including Herodotus’s History; Edward Gibbon’s Decline and Fall of the Roman Empire; Plato’s Apology, Republic, and Symposium; Aristotle’s Ethics and Politics; Epictetus’s Discourses; Marcus Aurelius’s Meditations; Thomas More’s Utopia; Machiavelli’s The Prince; Rene Descartes’s Discourse on Method; Thomas Hobbes’s Leviathan; Benedict de Spinoza’s Ethics; John Locke’s Essay Concerning Human Understanding; Jean Jacques Rousseau’s The Social Contract; Adam Smith’s The Wealth of Nations; Immanuel Kant’s The Critique of Practical Reason; Thomas Paine’s The Rights of Man; John Stuart Mill’s On Liberty; and Herbert Spencer’s First Principles of Sociology, among many others. The book How to Write Fast Under Pressure by Philip Vassallo is an easy-to-read, step-by-step guide that introduces and teaches methods for a writer to become a speed writer while still improving their overall quality of their work. Welcome to the 437th post on WORDS ON THE LINE, which celebrates its seventh anniversary today, making this blog one of the longest-running Internet resources for business and technical writers. I'll celebrate the occasion by giving you an overview of the blog, as it has been modified since you last visited. At the top are my biography, a link to my user profile, and a header which you can click on to return to the homepage. Down the left side of the blog are the last seven posts in reverse chronological order. These items cover writing tips, grammar rules, practical applications of writing theory, relevant book briefs, writers' references, recommended websites, and news about my work. At the end of each post, you have an opportunity to comment or to share the post by email or on Facebook, Twitter, or Blogger. Search Box – to find any topic covered in the blog over the past seven years. Links to Phil – to connect to me through my professional services website, Twitter, Amazon book briefs, LinkedIn, and other formats. Blog Archive – to research blog posts by date. Labels – to research blog posts by topic. 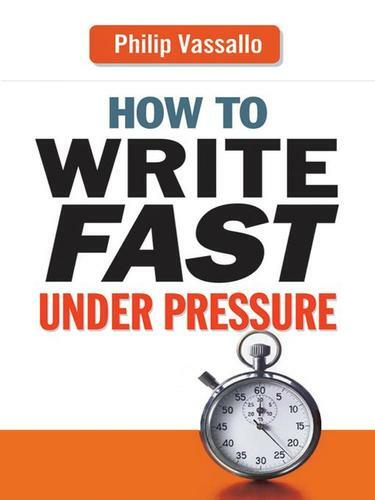 Books by Phil Vassallo – to link to Amazon to purchase one of my books on work-related writing. Educational Sites – to link to great learning and informational resources. At the bottom are links to the most popular WORDS ON THE LINE posts. I hope you find the blog useful and welcome you to share it with friends and coworkers. To your writing success! PhilVassallo.com is completed revamped. You’ll notice there a cleaner look and extensive updates to courses I offer, clients I have served, and books I have read. This website is a client-driven one, as I have tailored to address specific inquires about my corporate writing, editing, instructional design, training, and coaching services. My contact points appear at the footer of each page to expedite communication with me.